Monument Records is pleased to present a new Beethoven piano sonata subtitled: Sonata quasi una fantasia, Biamonti 213. This remarkable work has languished in the Kafka Sketchbook in the British Library for more than a century. It is a three movement Sonata and was pulled from the sketchbook by Dutch musicologist Willem Holsbergen and presented with its two sister sonatas with the same subtitle, Opus 27, Nos. 1 and 2, which is the famous Moonlight Sonata. An added bonus is the rarely heard Fantasy in G minor, Op. 77 which makes this recording a truly unique exploration of Beethoven's use of the fantasy form in the piano genre. These selections are brought to life by the pasionate performance of Steven Beck. 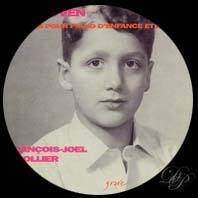 This entire CD was recorded on the 1827 Jakesch Forte-piano in the collection of the Ira F. Brilliant Center for Beethoven Studies in San Jose, California. This remarkable piano has both a Bassoon pedal and a Turkish pedal. Historically, the Turkish pedal was developed to play Military Music giving the performance the added dimension of tambourines, drums and bells. The featured work is Beethoven's own piano version of Wellingtons Seig, Hess 97. Included on the CD is a march from the Ruins of Athens. Also included on this CD are performances of two sets of variations that Beethoven wrote on: God Save the King, WoO 78 and Rule Britannia, WoO 79. Of the 12 works on this CD, 7 are world premiere recordings. This recording is given added luster by the impeccable talents of Steven Beck. Monument records regularly produce CDs of Beethoven's music. Steven Beck is the pianist. Here are three, created in 2001. The CD "Cameos for Piano" compiles almost 40 of Beethoven's works for piano. It would be fastidious to list them all. Let is just be know that you can hear the 1822 version of the famous "Für Elise", and that half of these recordings are "World's first recordings". This is a collection of rare gems by some famous, and some not so famous, composers of the Classical period. 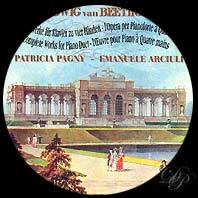 It contains the first recording of 12 Ecossaises, WoO 16 published under Beethoven's name that had been lost for nearly two centuries and L'Adieu au Piano, K-H Anh 37. Other works include an Adagio by Steibelt, a Rondo by Diabelli and a marvelous two movement Sonata by Dussek. There are works by Haydn, Albrechtsberger and Neefe, who were all teachers of Beethoven. Of the 13 works on this CD, 11 are world premiere recordings. This wonderful recording was done by the master pianist Steven Beck on a reproduction 1795 fortepiano from the Beethoven Center in California. - Fugue for piano four-hands in B flat major (arrangement from Grosse Fuge for string quartet), Opus 134. Andreas Grau and Götz Schumacher have played four-handed piano together for twenty years. And that can be heard, in the harmony and complicity, which the two pianists express. 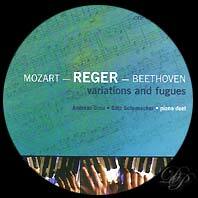 Max Reger had a particular affection for the variations and here, he rediscovers the ancients whom he esteemed so much. On the CD you will find the Grand Fugue opus 134 of Beethoven, transcribed for four hands by the same composer, but also the Variations and fugue on a theme (of the bagatelle for piano opus 119, no. 11) of Beethoven by Max Reger. Also on this CD: The fugue of Mozart KV 426 and the Variations and fugue of Max Reger on a theme (of the sonata KV 331) of Mozart.